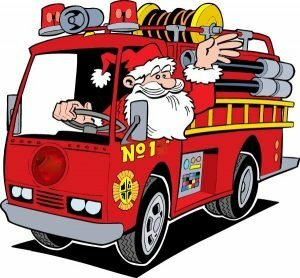 Santa along with his firefighter friends will be visiting Hamburg on Sunday December 17 starting at 4pm. Be on the look out for Santa’s elves along the way handing out treats to all the good boys and girls! Support Hamburg Fire Company with your purchases through Amazon Smile. Book mark the link below for all your Amazon Purchases! Amazon will donate 0.5% of the price of your eligible AmazonSmile purchases to Union Fire Co No 1 Hamburg whenever you shop on AmazonSmile.